Painting on Recycled Material Continued: ORLY? Sometimes I feel like birds have hilarious expressions. So THIS painting happened, hah! I painted a bird on it. Just realized the Portlandia reference… ANYWAYS, what do you think of this feathered friend? 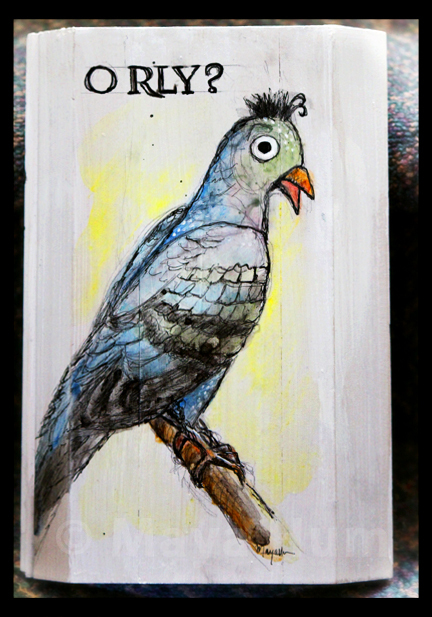 Media: pencil, acrylic, watercolour, and India ink on wood moulding.